Why is my blog called Cherry Blossom? Ever wondered why my blog is called Cherry Blossom? 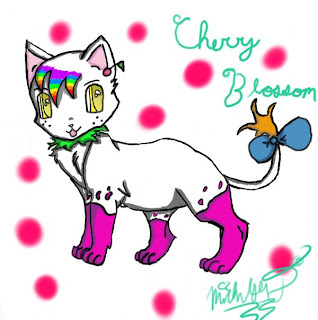 Well Cherry Blossom would be this little kitty shown above ( I apologize for the rather old and unprofessional looking pictures. My old computer crashed so I had to get a new one and these photos plus the ones on my art page were the only photos i could find. I did all of this art work ATLEAST 3 years ago if not more. I have gotten better with digital art I promise.) But Cherry Blossom is like my own personal little mascot. I have been drawing her since I was little so it just seemed reasonable that I should name my blog after her. 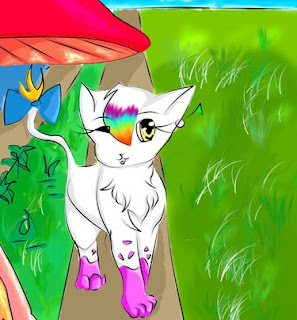 So she is the Mascot for my blog!